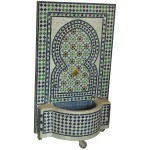 Made from clay, zellij is a single-colored glazed tile. 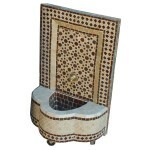 There are all different sizes and colors, including green, blue, red, yellow, black, tan and brown. 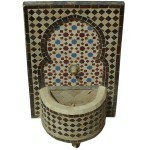 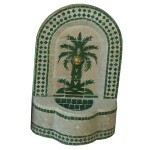 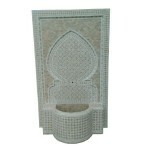 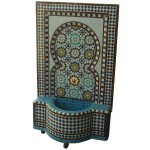 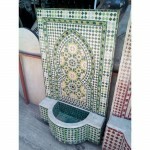 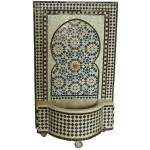 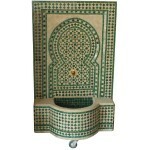 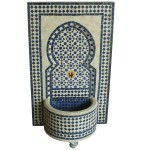 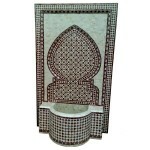 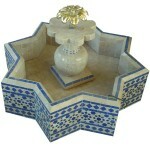 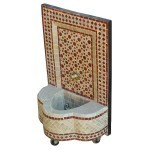 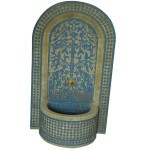 All the wall fountains presented here are hand made in Marrakesh, Morocco. 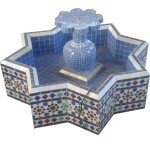 Find a large range of garden fountains in many size, colors, shapes or decorative style. 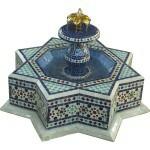 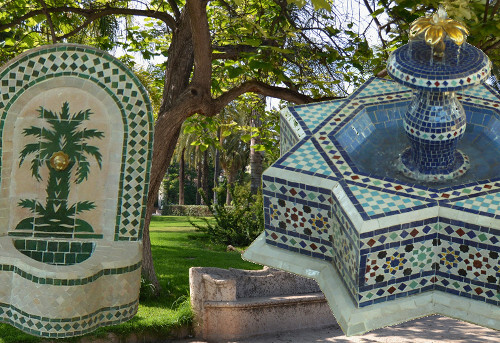 Enjoy these fountains inspired from the decorative Islamic Art !